1963: A band forms in Minneapolis called The Bowery Boys. 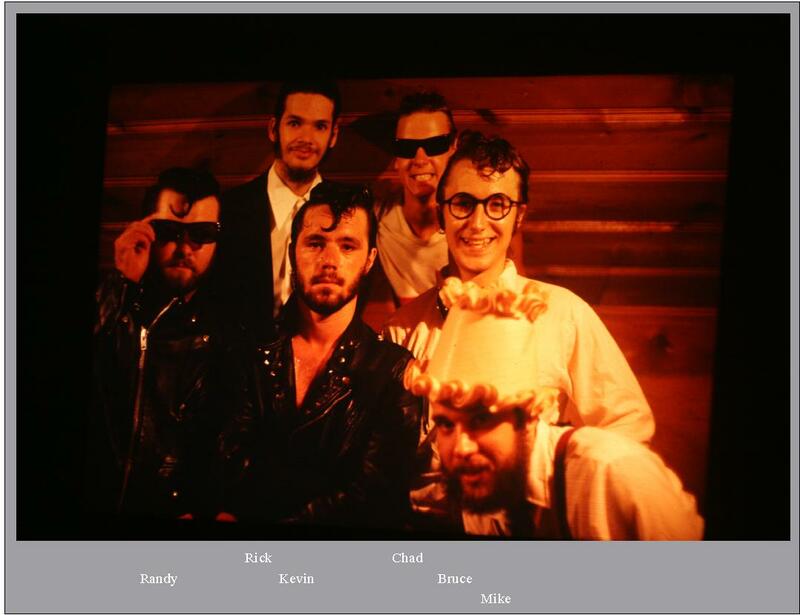 In the band are Randy Arneson on rhythm guitar and vocals; his younger brother, Bruce on lead guitar and vocals; Dwight Azen on Farfisa organ and vocals; Chris Kammen on bass guitar; and Kenny Mauricio on drums. Randy and Bruce sing lead vocals and Dwight sings harmony vocals. All of the members are students at Olson Junior High in Minneapolis. The group plays instrumental songs by The Ventures, country/western songs, polkas, and waltzes. On their song list is “Blue Black Hair” which was recorded by a local band called The Jades and “Be Bop A Lula” by Gene Vincent. Randy has a Silvertone amp purchased from Sears. The vocals and two guitars are plugged into the amp. The bass player has his own amp. Dwight wears a Bohler hat as seen on Satch from the television show “The Bowery Boys.” The group practices one time at the Arneson residence on 5201 Irving Avenue North in Minneapolis, however Mr. Arneson suggests in a firm way that they find another home to practice in so they switch over to Kenny Mauricio’s house, which just happens to be across the street. 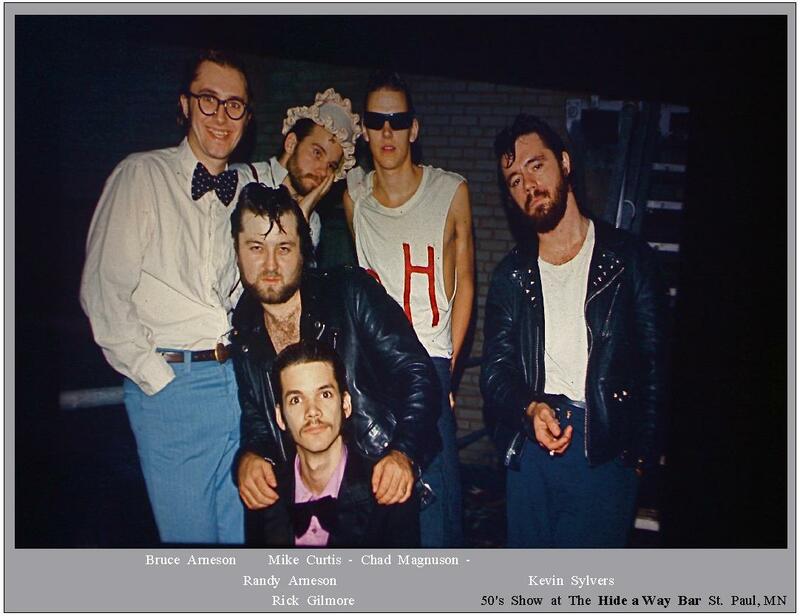 Halloween, 1963: The Bowery Boys play their first job for a private party in the basement of a house located behind the Hilltop Drive-In (4711 Central Ave NE, Columbia Heights). Randy is fourteen years old and all the other members are thirteen years old. The party is for adults. Much to their surprise the band takes note that all the women have come to the party dressed as men and all the men are dressed as women. The band is supposed to get paid ten dollars but after the hat is passed among the guests they are only paid eight dollars. The band plays a number of jobs at Folwell Park. They decide to wear regular women’s wigs on stage. 1965: The band auditions for Marsh Edelstein of Marsh Productions at Magoo’s on Lake Street in Minneapolis. Marsh likes the band and signs them to a booking contract. The band plays at Locates, a teen club in White Bear Lake, The Purple Barn in Eden Prairie, and Someplace Else in Robbinsdale. They also play high school dances. Most of the jobs are on weekends as the members are still in school (ninth and tenth grade). The group plays popular songs by The Beatles, The Rolling Stones, The Animals, Paul Butterfield Blues Band, and Motown groups. Band members often take a bus to go see the other local bands playing at Magoo’s including The Del Counts, The Underbeats, and Gregory Dee and the Avanties. Eventually, a VW mini-bus is purchased as a band vehicle. June, 1967: Shortly after graduating high school, Randy moves in with Laurie O’Connell at a house on 48th and Bryant Avenue North in Minneapolis. 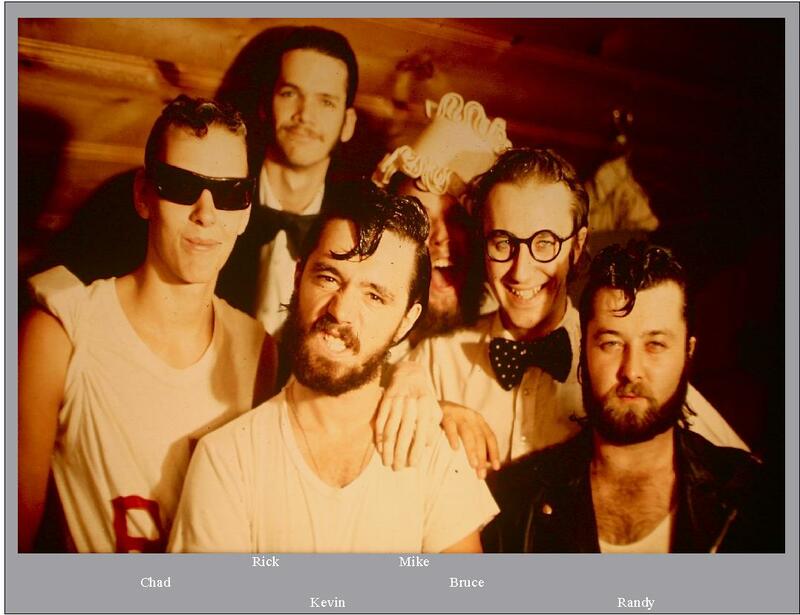 The group goes through a change in their lineup and The Bowery Boys are renamed Pure Honey, the name coming from the label of a jar of honey. The new lineup is: Randy Arneson on rhythm guitar and vocals; Tom Eikos on lead guitar and vocals; Dwight Azen on keyboards and vocals; Bruce Arneson on bass guitar and vocals; and Laurie O’Connell on drums and vocals. The group is now playing rock songs from The Beatles, The Rolling Stones, and Led Zeppelin. Randy is playing a ES3 335 Gibson guitar through a Royal Gaurdsman Vox amp he purchased from Big Daddy Wags at Waegner Music in North Minneapolis. Bruce plays a Gibson EBO bass guitar through a Vox bass amp that he had purchased from Roy Hensley of The Castaways. The group is still booked through Marsh productions and play at clubs and colleges. Dwight plays a Wurlitzer electric piano which is taken to Jim Donna of The Castaways when it needs to be tuned. The band is booked to play at Proache’s Popular Ballroom in Ellsworth, Wisconsin. They arrive and set up their equipment in the main ballroom. Shortly after setting up they discover that Chad and Jeremy, a folk/pop band from England with numerous hit songs on the charts, are playing in the main ballroom. The band discovers they are booked in the lower level bar at the ballroom. They move their gear to the lower level bar and do their show. At a Jaycee’s convention held in the Minneapolis Auditorium, Pure Honey is playing. The group gets off an elevator and run into Peter, Paul, and Mary, who are playing in the main auditorium that night. 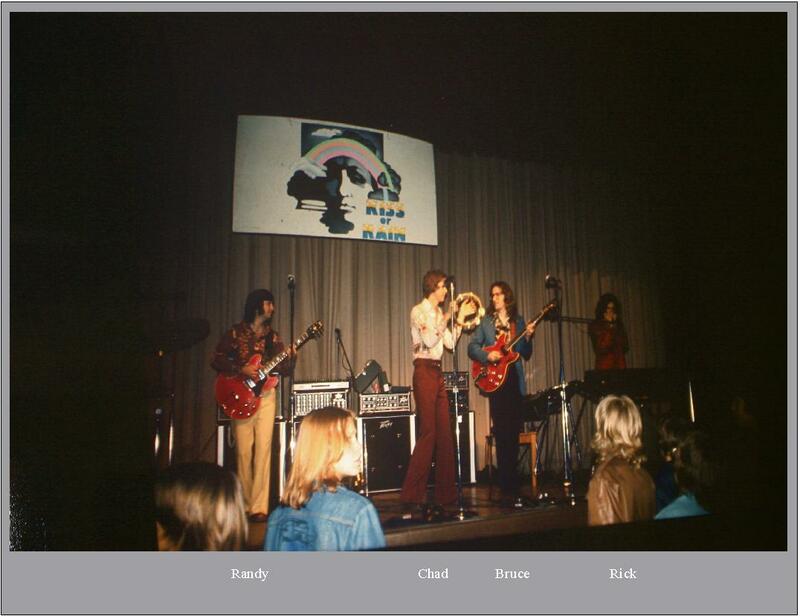 At this time period, Randy goes out to see some of the newer psychedelic bands including Cream (at New City Opera Hall), and Jimi Hendricks (at the Minneapolis Auditorium). The group now dresses in the Psychedelic style of the era. Bruce Arneson’s girlfriend, Linda makes a shirt for Bruce to wear on stage made out of cloth with newspaper print. Linda also makes “star pants” for Randy that look like the American flag. A light show is added to their jobs and the VW bus is painted with flowers. 1969/1970: While driving to a job at Ryan’s Ballroom in Plymouth, the group decides it is time to come up with a new name. They drive by a street scene that says Zachary Lane. Pure Honey becomes Zachary (playing as Pure Honey for the job that night). The new lineup for Zachary is: Randy Arneson on rhythm guitar and vocals; Bruce Arneson on lead guitar and vocals; Dwight Azen on keyboards and vocals; Gary Strom on bass guitar and vocals; and Larry Duoos drums and vocals. The band plays songs by The Beatles, Three Dog Night, and other popular bands. Larry sings lead on “Hush” by Deep Purple. December, 1970: Randy Arneson is drafted into the military service. Zachary comes to an end. February, 1971: Bruce Arneson is drafted into the military service. September, 1972: Randy Arneson returns to Minnesota following his time in the military service. February, 1973: Bruce Arneson returns to Minnesota following his time in the military service. Randy and Bruce Arneson decide to put another band together. Dwight Azen had joined local rock band Sterling. Larry Duoos also left the band. Kevin Sylvers joins the band on drums. Randy, Bruce, and Kevin rent a house located on Lakeland Avenue in Brooklyn Park. Bruce comes up with a new band name: Kiss of Rain. The lineup is: Randy Arneson on rhythm guitar and vocals; Bruce Arneson on rhythm guitar and vocals; Chris Kammen on bass guitar; and Kevin Sylvers on drums. 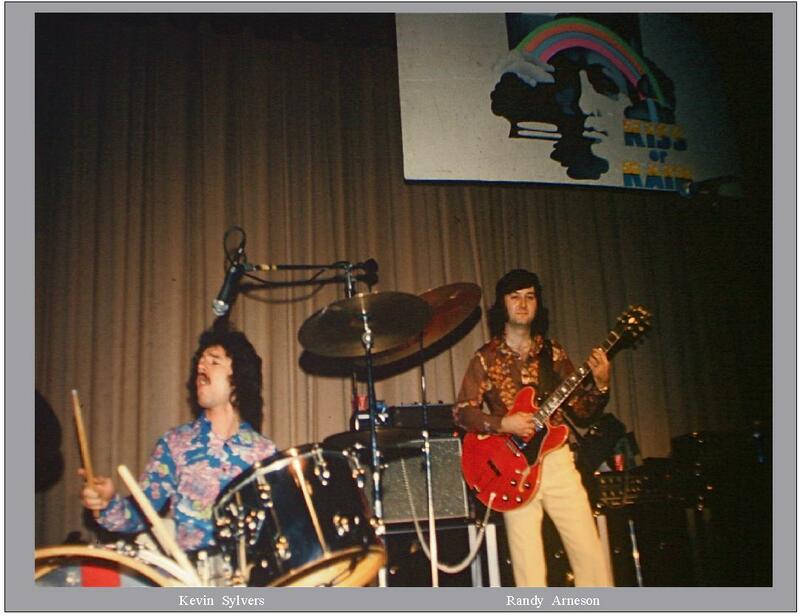 Summer, 1973: Chris Kammen leaves the band and Mike Curtis joins on bass guitar and vocals. Chad Magnuson joins the group on keyboards, saxophone, flute and vocals. While Randy and Bruce were in the service, Tom Eikos had joined The Royal Organization a local band with a contract to play at The Hideaway in Maplewood (Rice Street and County Road B) and the Badger Room (in the Hudson Hotel) in Hudson, Wisconsin. Both clubs are owned by Jim and Sharon Tolgren. The group performs songs from Broadway musicals including “Fiddler on the Roof” and “Zorba the Greek.” Dotti Smith of Smith Entertainment Agency wants The Royal Organization to be a Class A nightclub act. 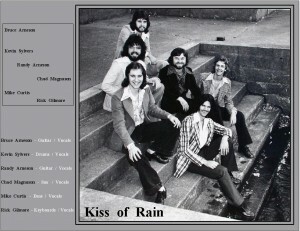 Through Tom’s connection, Dotti Smith signs Kiss of Rain to a three year contract playing at The Hideaway and The Badger Room, alternating clubs every three months. July, 1973: The band begins their job playing The Hideaway and the Badger Room. They work six nights a week with Mondays off. Each band member gets paid $160.00 per week. “Superstition”; “Boogie on Reggae Woman” and “Superstition” by Stevie Wonder. “Goodbye to Jane” by Slade. “Locomotive Breath” by Jethro Tull. “You’re Sixteen” by Ringo Starr. “Suffragette City” by David Bowie. “Easy Livin’” by Uriah Jeep. “Peaceful Easy Feeling” by The Eagles. “Moon Dance” by Van Morrison. “Put it Where You Want It” by Average White Band. “Let it Ride” by BTO (Bachman Turner Overdrive). “Nothing to Hide” by Spirit. “Foot Stompin’ Music” by Grand Funk Railroad. Following the lead of The Royal Organization, the group puts together a number of special shows including a Beatles Tribute Show, Country and Western Shows, and Broadway musicals. For these special shows the dance floor is converted into an eight by eight foot second stage made out of two sheets of plywood (painted blue) laid across numerous empty Budweiser beer cases. Every Thursday night is “Greaser Night” with the band playing songs from the 1950’s and dressed up in 50’s style stage clothes. The band plays cover songs by Elvis, Jerry Lee Lewis, and Chuck Berry among others. 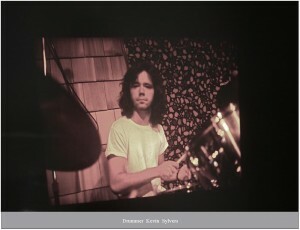 Late, 1974: Rick Gilmore joins the band on keyboards, guitar, harmonica, saxophone, flute, and vocals. The Badger Room is known as having frequent fights break out between members of the audience. Whenever a fight starts at the club, the band is told by Dotti to play two slow songs in a row, “The Shadow of Your Smile” (Tony Bennett) and “Misty” (Johnny Mathis) to try to calm down the disruptive patrons. February, 1975: Several band members decide to check in with club owner Jim Tolgren about getting a raise in their pay. Tolgren informs them they have already gotten five raises since the band signed on to play the two clubs. The band members are surprised to hear this news as they did not receive any increases in pay. Looking at the books, they discover they are owed a large sum of money by their booking agent. Based on this discovery, Kiss of Rain stops playing at The Hideaway and the Badger Room, breaking their contract with the booking agent. The group is booked to play for the grand opening of Spirit Mountain Ski Resort in Duluth. The band plays two sets a day from 1:00pm to 4:00pm and 9:00pm to 1:00am at the chalet. The booking is for twenty-eight days in a row with no days off. March, 1975: The band is offered a follow-up job at Spirit Mountain, once again for twenty-eight days in a row, eight hours a day, with no days off. The band members are tired of the long hours at Spirit Mountain, however they are offered one third more in pay compared to their first job there so they sign on to play again at Spirit Mountain. 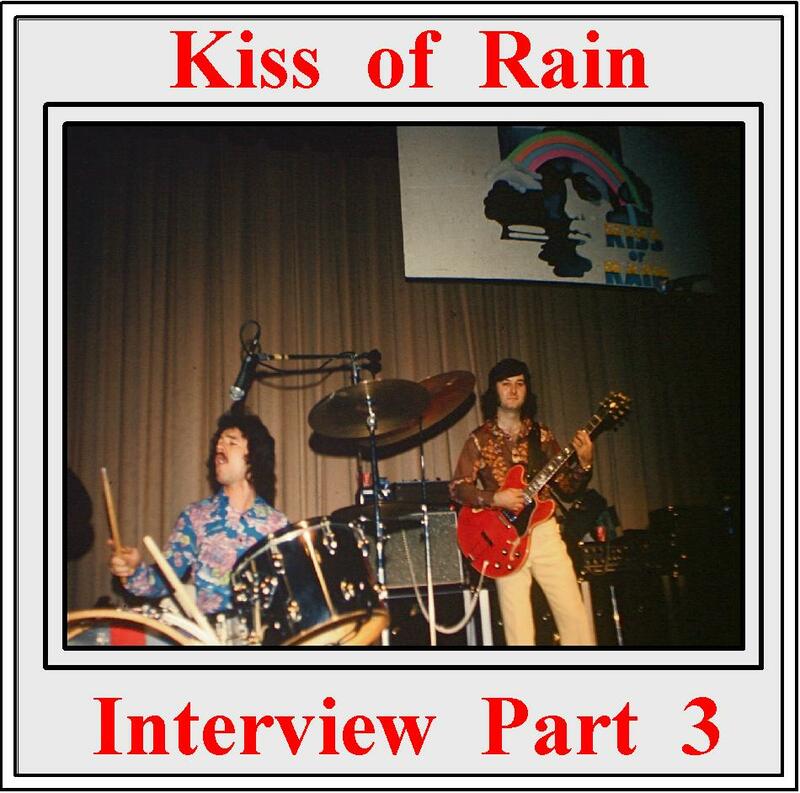 Summer, 1975: Kiss of Rain play their final job at Ryan’s Ballroom in Plymouth. July, 1975: Kiss of Rain goes into ASI Recording Studio in Minneapolis and record two songs for a 45. Both songs are written by Rick Gilmore. Rick Gilmore: lead vocals, keyboards, second sax, guitar. Randy Arneson: guitar and backing vocals. Bruce Arneson: lead guitar and backing vocals. Chad Magnuson: sax and backing vocals. Mike Curtis: bass guitar and backing vocals. Kevin Sylvers: drums and backing vocals. Rick Gilmore: lead vocals, keyboards, second flute, guitar. Chad Magnussen: flute and backing vocals. David Rivkin engineers the one day session. Also at the studio during the recording are David Anthony (booking agent) and Steven Greenberg (local drummer and songwriter). One thousand copies of the 45 are pressed up on the bands own Cloud label. Most copies of the 45’s are given away to family and friends. 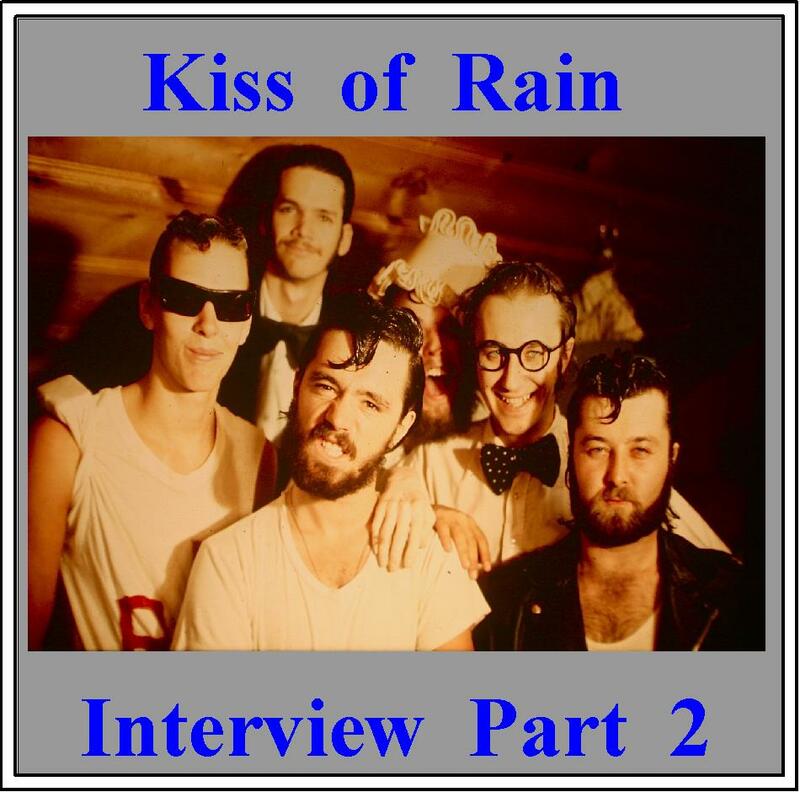 After the recording session Kiss of Rain comes to an end. 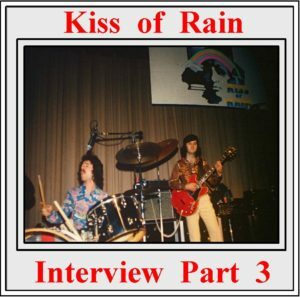 The Kiss of Rain “Beatles Show” was the most popular special show put on the band. 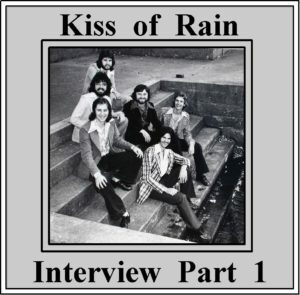 After Kiss of Rain came to an end the band had an opportunity to play for a national AA meeting held at Met Center in Bloomington. The event was called “Freedom Fest 1976” and featured a number of prominent speakers. The Beatle show was not advertised. When the band hit the stage, the crowd erupted with screams and many rushed the stage… some people actually thinking it was the actual Beatles. The stage was set up to match the look of The Beatles, complete with a twelve foot diameter riser for the drums. The Beatles show featured Randy Arneson as Paul McCartney; Bruce Arneson as John Lennon; Mike Gal as George Harrison; and Kevin Sylvers as Ringo Starr. Randy pretended to play his Hoffner bass guitar on stage, while the actual bass guitar parts were played by Randy Zins who sitting in a chair offstage. 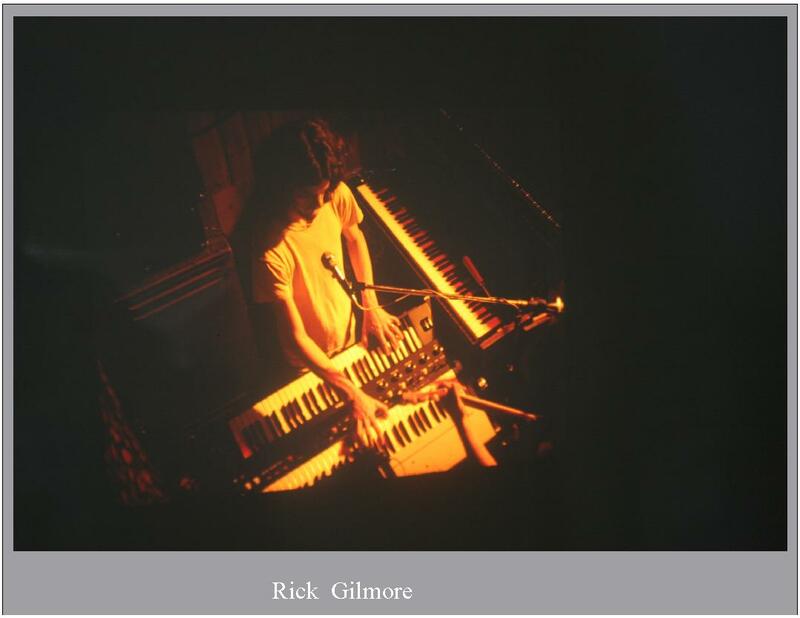 For the Beatle songs from the “Sargent Pepper” era, Rick Gilmore would join the group on keyboards and Mellotron. The band members wore Beatle wigs except for Randy who had grown his hair out. Kevin wore a prosthetic nose for a number of shows but eventually gave it up as the crowd did not get a close view of him playing drums on the elevated drum riser. In the audience at the “Freedom Fest” event was an employee from Valley Park, a brand new amusement park located southwest of Minneapolis in Shakopee. Through this connection, the Beatles tribute band got a job to play at the park including their grand opening. The band played two shows a day, one during the day and a second show in the evening. The shows were outside in the band shell. EMI, a company in North Minneapolis did all the sound for the shows. After a successful run at the park in the summer of 1976, the group was hired back for the summer of 1977. New York booking agent Steve Leibers heard about the group and made a trip to Minnesota to check out the show. After seeing the band live, Leibers flew them out to New York City and had the group perform three or four songs for a number of New York music business people at a studio located off Broadway. Randy went to Los Angeles and met with Sam Lutz who worked with Lawrence Welk and had an office next door to the Grauman’s Chinese Theater. Randy showed Lutz an eight millimeter film of the band playing live that his father had taken at Valley Fair. Lutz liked the band and wanted to sign the group to a three year contract to play at State Fairs across the country. The next day Lutz called Steve Leibers in New York to discuss booking the band. Leibers had decided to put together his own Beatles tribute group called Beatlemania. Leibers informed Lutz to kill the deal with the Minnesota group which he did. Leibers also put out the word to club owners across the country to not hire the “Beatles Show.” The group is no longer able to find work. The group peformed at “Six Flags Astro World” theme park in Houston, Texas. In 1980, The “Beatle Show” played their final job at Uncle Sam’s (formerly known as The Depot) in Minneapolis. For the final job, the lineup was: Randy Arneson as Paul; Steve Masson as George; Dave Ruson as John; and Mark Sylvers as Ringo. The “Beatles Show” that originated from Kiss of Rain comes to an end. Randy Arneson: Living in Minnesota. Plays guitar and sings. 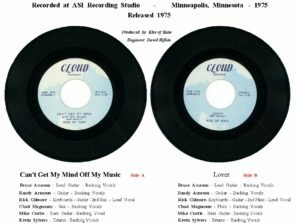 Bruce Arneson: Living in Minnesota, no longer active in music. Rick Gilmore: Passed away in 1993. Rick was living in Minnesota at the time of passing. Chad Magnussen: Living in Minnesota. Playing with Animal Legacy (keyboards and vocals). Mike Curtis: Living in Minnesota. Playing with Artisan (bass guitar and vocals). Chris Kammen: Living in Minnesota. Playing bass guitar.